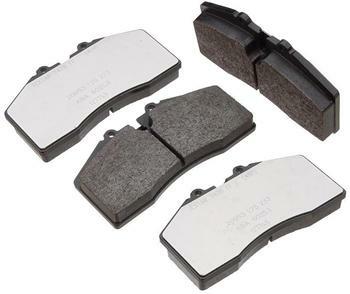 Brakeswap Premium Street Brake Pads - Brakeswap.com - Friction for the Win! Selected from a wide variety of makes and compounds, these are picked by us for their aggressive and premium features. Certainly not the cheapest pads out there, but these will give you better feel and performance while resisting brake fade and poor compounds which can leave deposits. Deposits can lead to shuddering, vibrations and noise when the pad compounds overheat, which is typical of your local shops that offer brake specials and the cheap Chinese formulations.